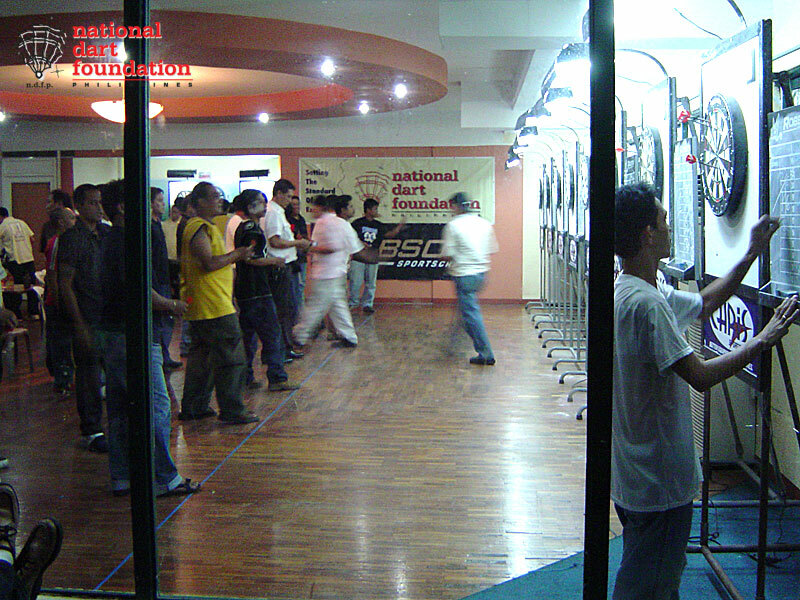 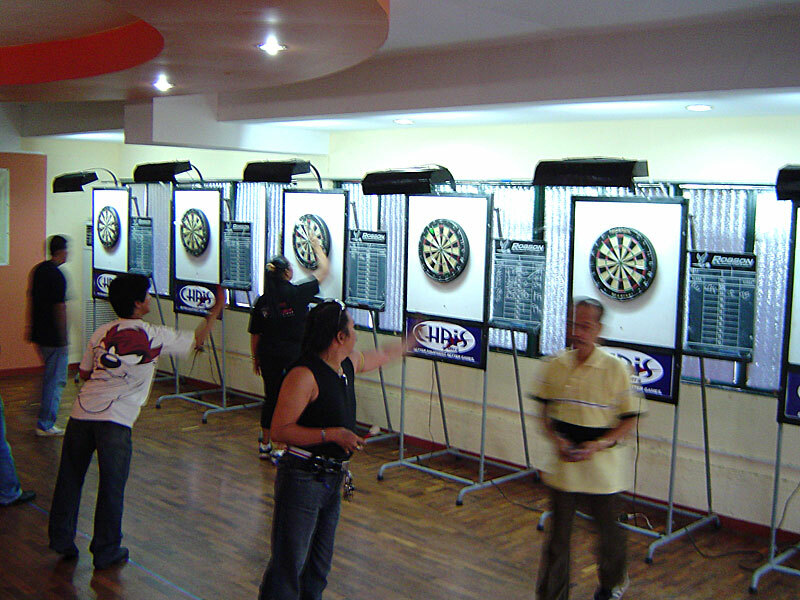 More than a hundred players participated in the Chris Sports P20,000 Christmas Dart Special held at Common Room Bar and Café in Marikina City last Saturday, December 17, 2005. 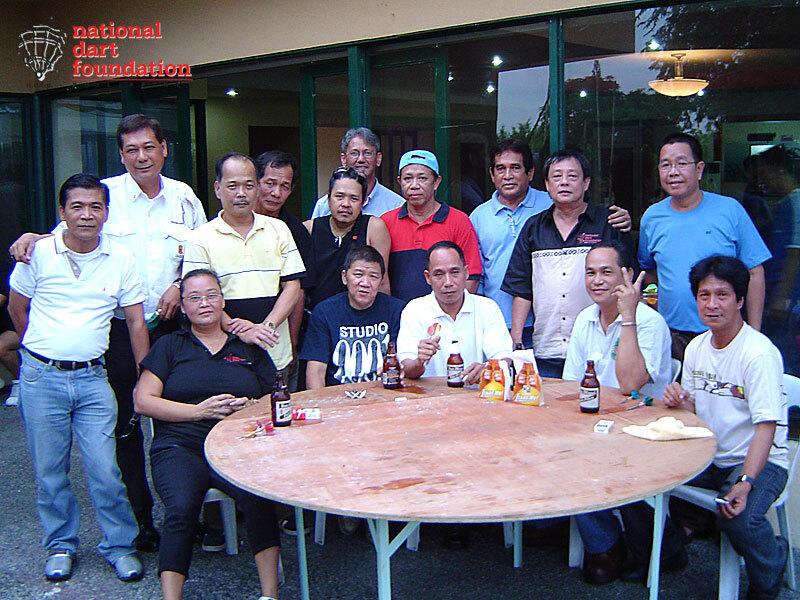 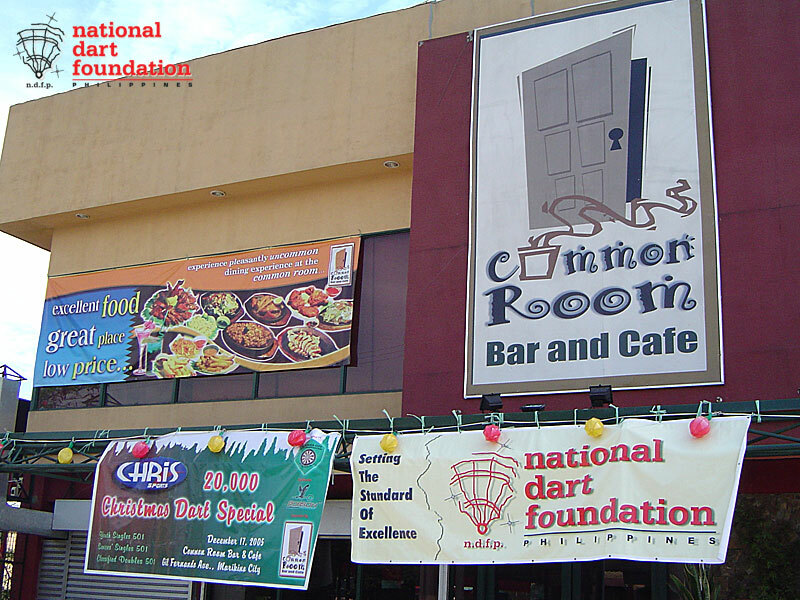 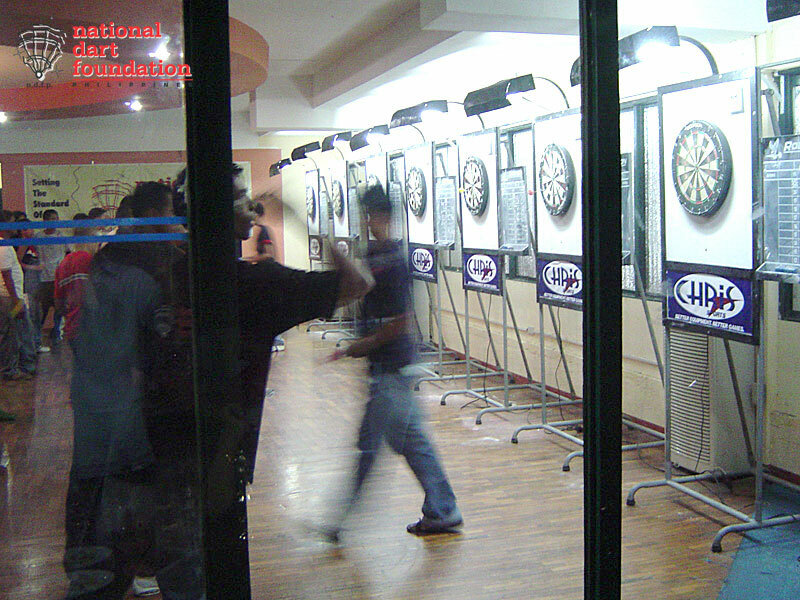 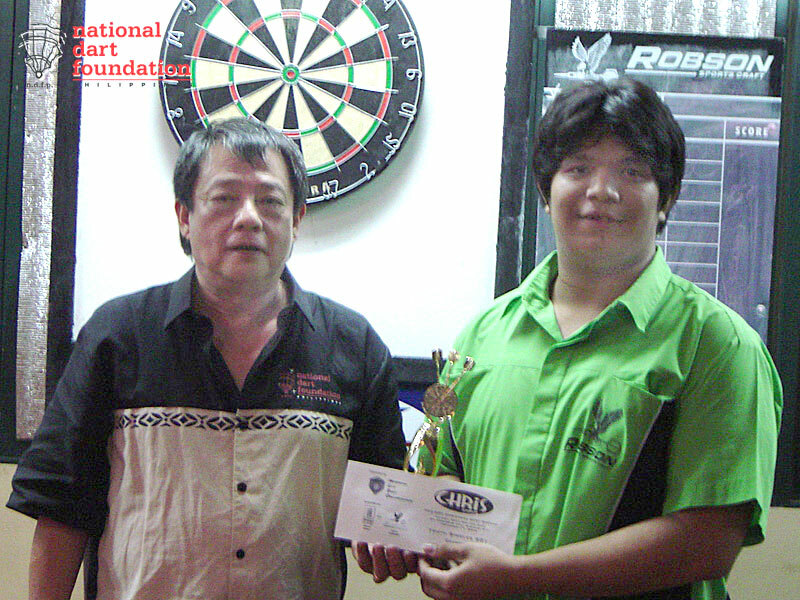 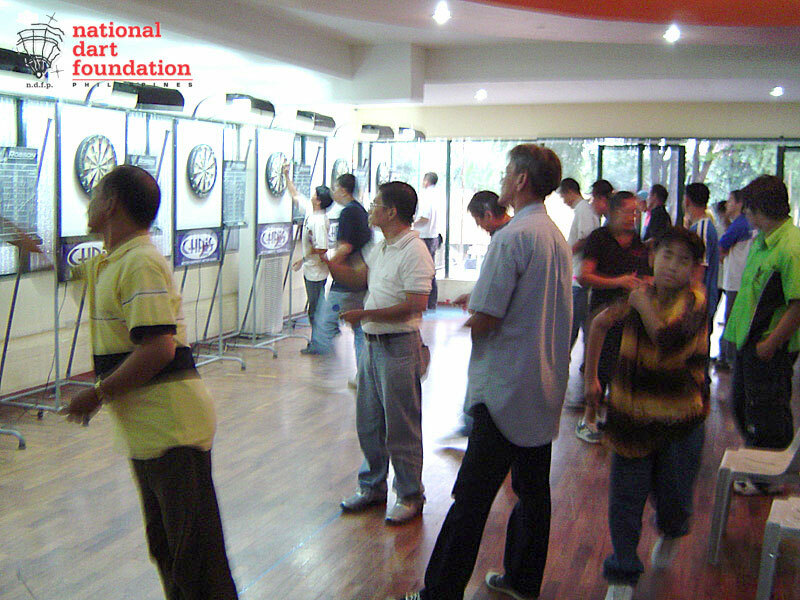 The three-event dart tournament was organized by the Marikina City Dart Organization (MCDO) and supported by Common Room Bar and Café, Robson Sportscraft and the National Dart Foundation of the Philippines (NDFP). 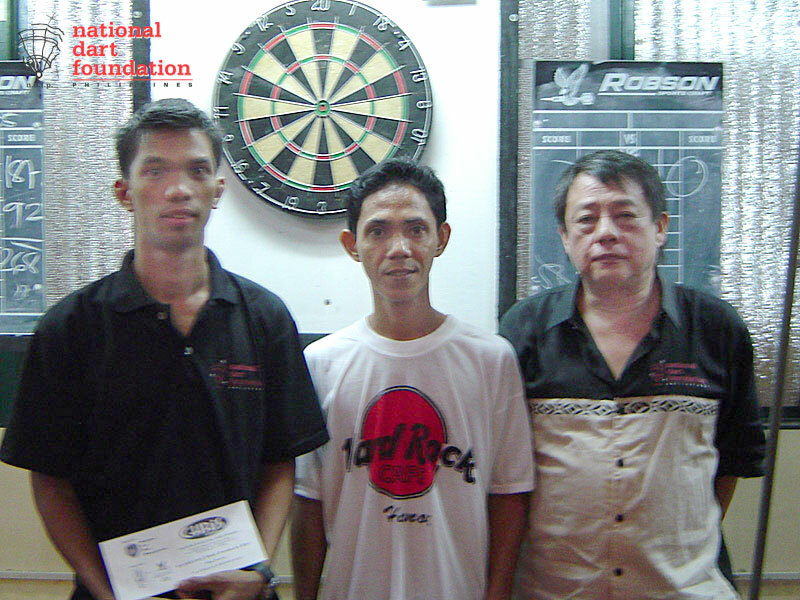 In the Classified Draw Doubles event, which drew a total of one hundred and two (102) participants, seven (7) pairs, including four (4) youth pairs, took advantage of the Fixed Doubles Options, a newly introduced dart tournament innovation. 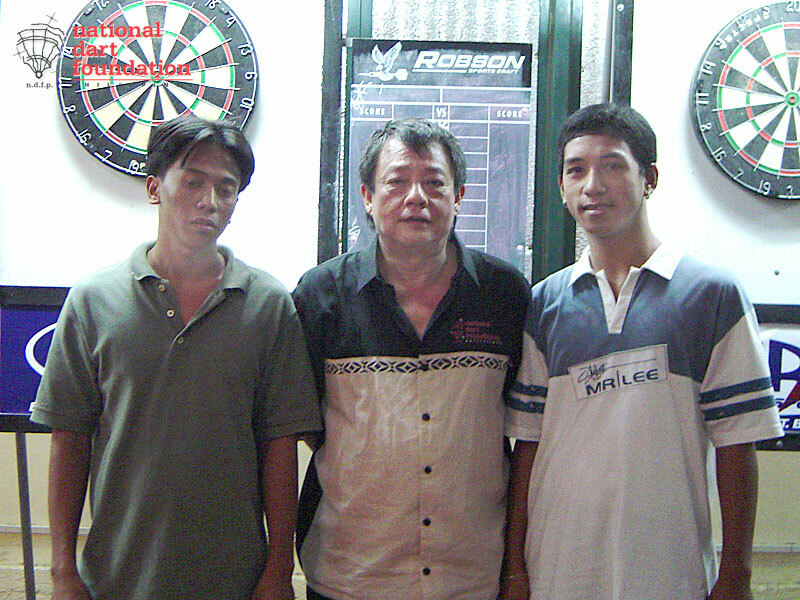 Given a handicap advantage of 401 versus 501 and 601 versus 701, the youth pairs (fifteen years old and below) showcased their talents by dropping a number of veteran darters in the tournament. 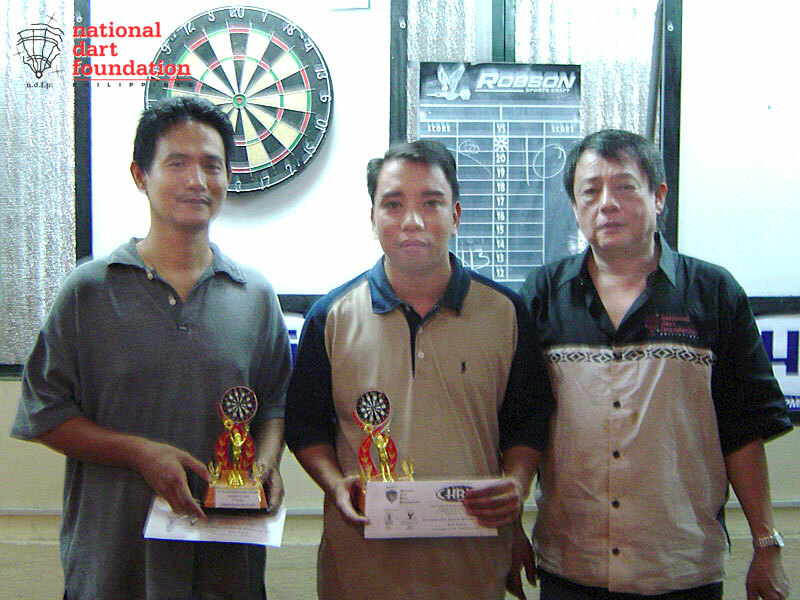 Although these youth players did not land any place in the tournament, their performance received numerous praises and words of encouragement from their older counterparts. 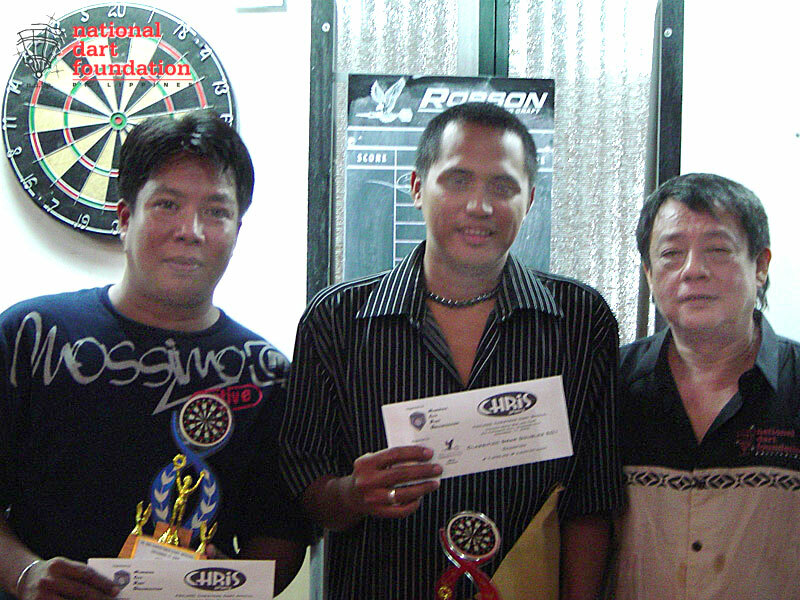 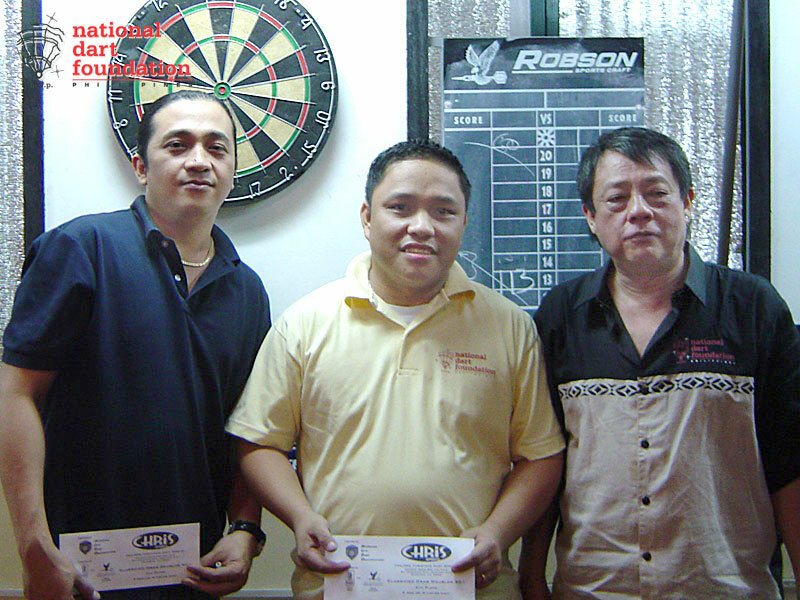 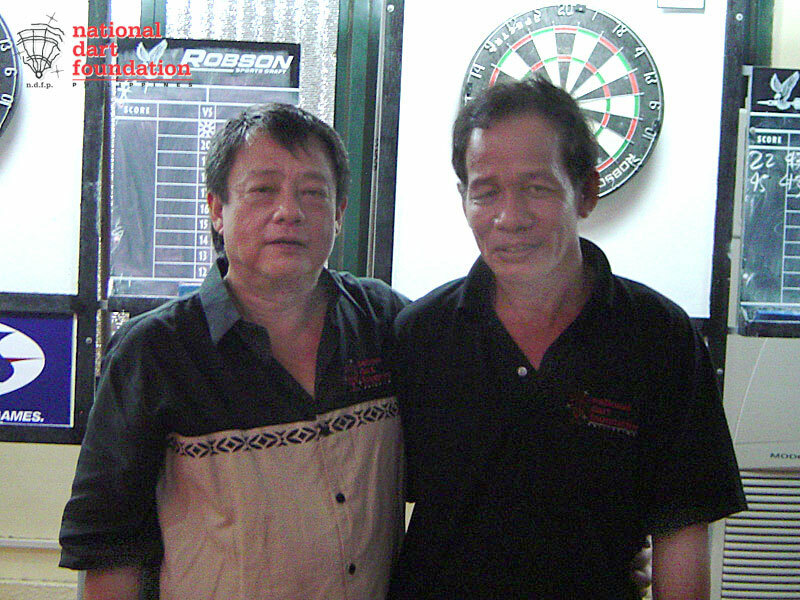 Veteran darter Lourence Ilagan of Cainta, Rizal and Nelson Pabilonia of MCDO won over the pair of Robson Dart League player Erick Alfuente of K Darts and come backing darter Kenneth Cruz of Marikina City in the Classified Draw Doubles event. 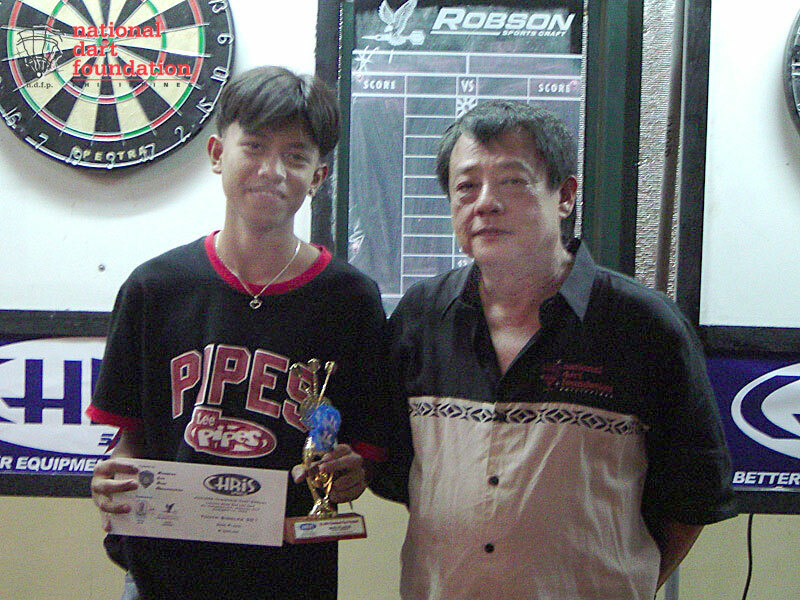 Robson teammates 18 year old John Philip Quintano and 53 year old Edu Paginag won the Youth Singles and Seniors’ Singles events, respectively. 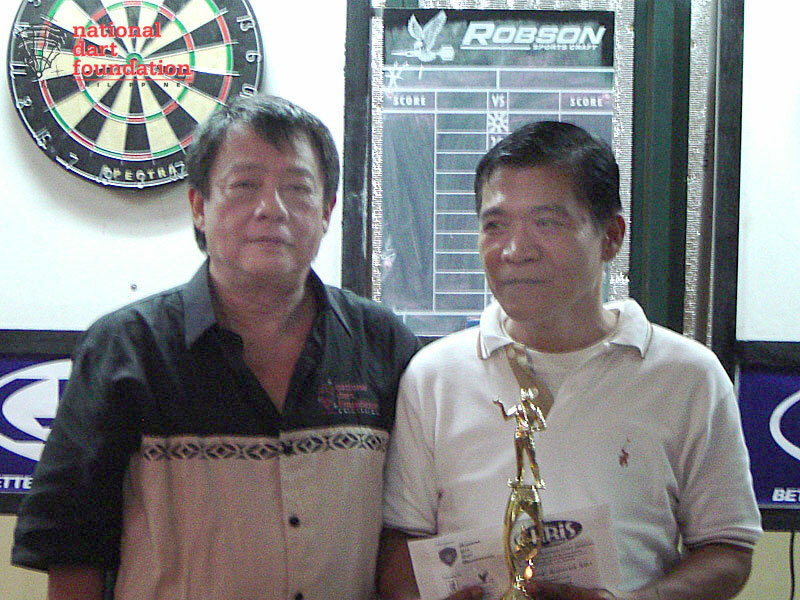 Aside from the cash prizes, trophies from Robson Sportscraft and Common Room Bar and Café were given to the champion and 1st runner-up of each event. 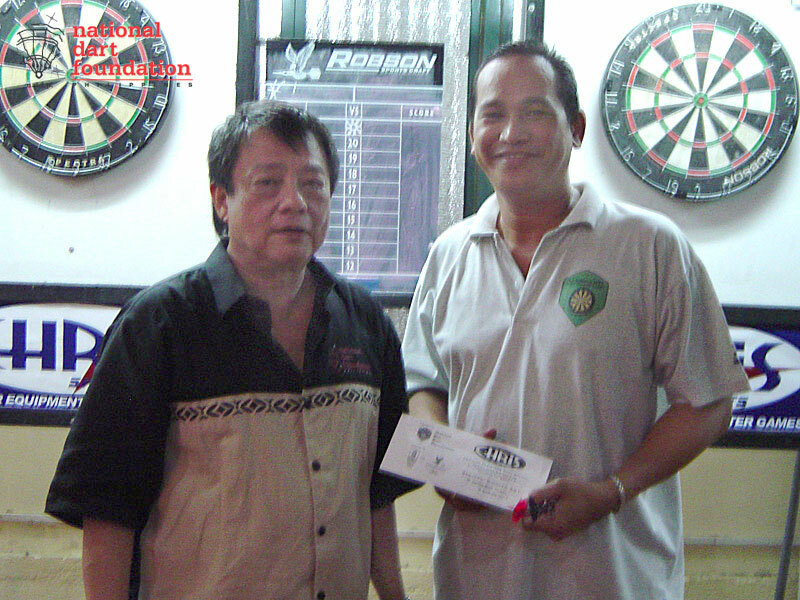 Chris Sports discount coupons were also distributed to the participants upon registration while Robson bags and dart wallets were raffled off during the event.